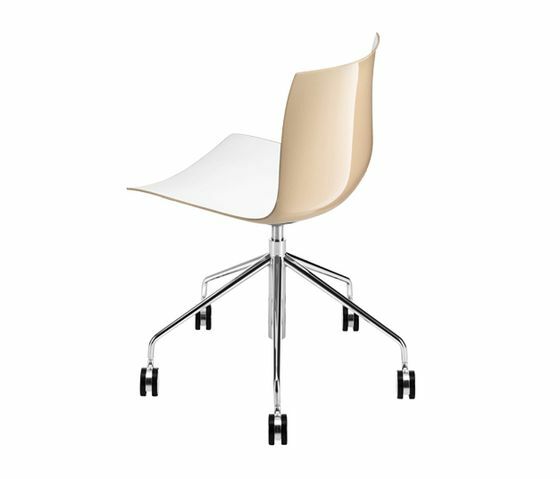 Chair on swivelling, five-star pedestal base in chromed steel, mounted on castors and fitted with gas height adjustment mechanism. The shell is available in singlecolour polypropylene, bi-colour polypropylene or covered in hard leather. Available polypropylene and steel armrests, also upholstered.